While estate planning is a topic that many wish to avoid, the careful planning for distribution of your property upon death is important. Estate planning enables you to arrange the smooth transition of assets after your death, shield your estate and heirs from taxes, and protect the continuous operation and ownership of a family business. Poor estate planning or the absence of an estate plan can be costly financially, and can lead to unnecessary strain among family members. Our firm understands the importance of protecting your family assets. 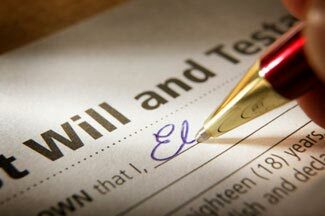 We provide professional legal services for your estate planning needs, from drafting wills and creating trusts, to administering the probate of a loved one's estate. Under appropriate circumstances, revocable trusts, testamentary trusts and life insurance trusts can help your estate avoid the delay and expense of the probate process. Our attorneys also provide professional guidance in the preparation of living wills, health care directives, and other documents that fulfill your end-of-life healthcare intentions.